Second chances do happen! 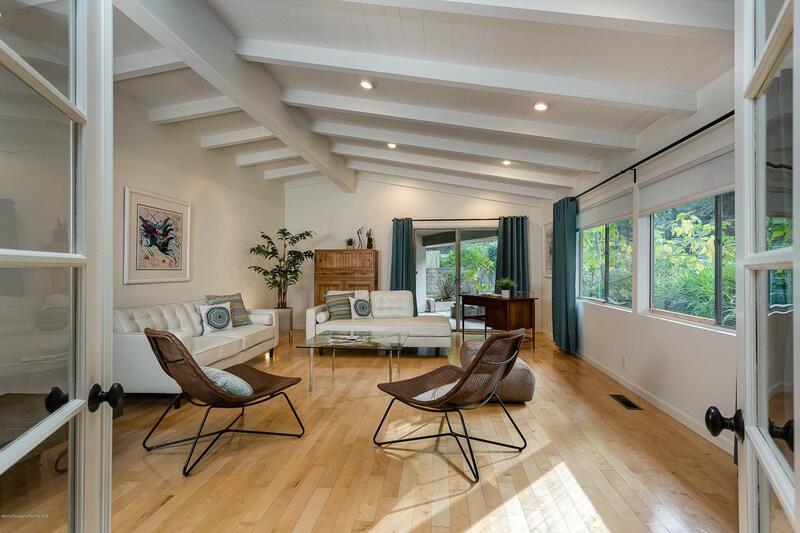 A classic take on mid-century modern in prime Flintridge. Set in a private, woodsy setting at the end of a cul-de-sac, this home features all you would expect from mid-century architecture-light-filled rooms with exterior views from many of the rooms, open-beam ceilings, Palos Verdes stone, and split-level living that provides additional privacy and space. The floor plan includes 4 large bedrooms, 4 baths, a large great room adjacent to the kitchen and a separate den/family room. The nearly 21,000 sqft usable lot provides great space for play and entertaining. The garage has been converted to a large studio/playroom or office and can easily be converted back to a garage. This home features maple hardwood floors, recessed lighting, custom tiled bath and new paint. With just a little updating and personalization, you can make this wonderful home special.